Design speed : 80 - 100 mt/min. Adjustment of pressure roller and glue roller is controlled by pneumatic system.. 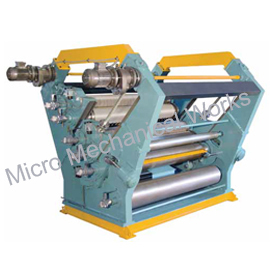 Adjustment of upper flute roll is controlled manually. Change of flute profile by geared motor / hydraulic cylinder.